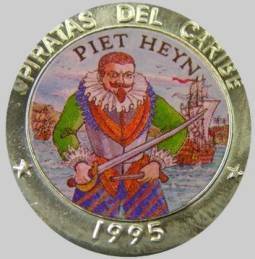 Piet Pieterszoon Hein (or Pieter Pietersen Heyn) (born: November 25, 1577 in Delfshaven / died: June 18, 1629 at sea) was a Dutch naval officer and folk hero during the Eighty-Years War between the United Provinces and Spain. 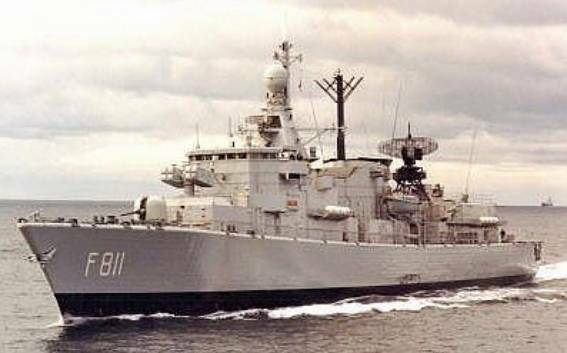 Hein was born in Delfshaven (now part of Rotterdam), the son of a captain, and he became a sailor while he was still a teenager. In his twenties, he was captured by the Spanish, and served as a galley-slave for about four years, probably between 1598 and 1602, when he was traded for Spanish prisoners. Between 1603 and 1607 he was again held captive by the Spanish, when captured near Cuba. In 1607, he joined the Dutch East India Company and left for Asia, returning with the rank of captain (of the Hollandia) five years later. He married Anneke Claesdochter de Reus and settled in Rotterdam. In 1618, when he was captain of the Neptunus, he was and his ship were pressed into service by Venice. In 1621 he left his vessel behind and traveled overland to the Netherlands. For a year in 1622 he was a member of the local government (schepen) of Rotterdam, although he didn't even have citizenship of this city: the cousin of his wife, one of the three burgomasters, made this possible. 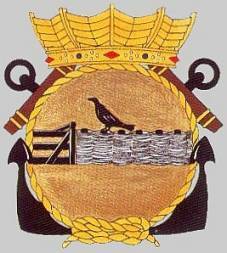 In 1623, he became vice-admiral of the new Dutch West India Company (WIC) and sailed to the West Indies the following year. In Brazil, he briefly captured the Portuguese settlement of Salvador, personally leading the assault on the sea fortress of that town. 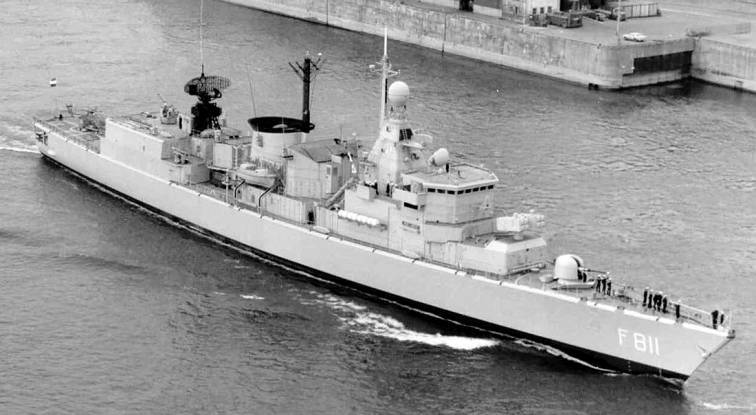 Then he attacked Luanda in Angola but failed to capture the city. In a subsequent raid in 1627 to retake Bahia, he failed but captured over thirty Portuguese ships with a large cargo of sugar. Hein is today often called a pirate, but he was a privateer as the Republic was at war with the Habsburgs and this was what would make Hein most famous. Of course some privateers behaved no better than common pirates, but Hein was a strict disciplinarian who discouraged unruly conduct among his crews and had for the day rather enlightened views about "Indian" tribes, slaves and members of other religions. Also he never was an individual privateer but commanded entire fleets of warships. In 1628, Admiral Hein, with Witte de With as his flag captain, sailed out to capture the Spanish treasure fleet loaded with silver from their American colonies. 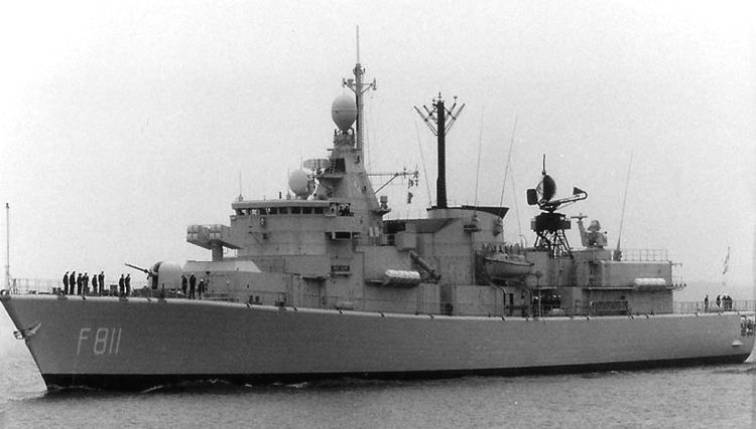 With him was Admiral Hendrick Lonck and he was later joined by a squadron of Vice-Admiral Joost Banckert. Part of the Spanish fleet in Venezuela had been warned because a Dutch cabin boy had lost his way on Blanquilla and was captured, betraying the plan, but the other half from Mexico continued its voyage, unaware of the threat. Sixteen Spanish ships were intercepted; one galleon was taken after a surprise encounter during the night, nine smaller merchants were talked into a surrender; two small ships were taken at sea fleeing, four fleeing galleons were trapped on the Cuban coast in the Bay of Matanzas. After some musket volleys from Dutch sloops their crews surrendered also and Hein captured 11,509,524 guilders of booty in gold, silver and other expensive trade goods, as indigo and cochineal, without any bloodshed. The Dutch didn't take prisoners: they gave the Spanish crews ample supplies for a march to Havana. 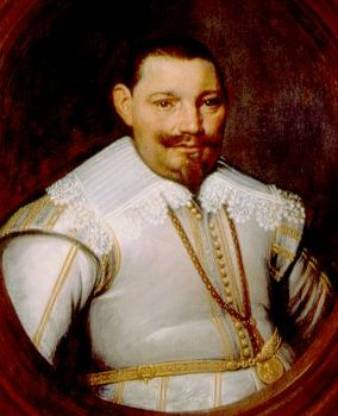 The released were surprised to hear the admiral personally giving them directions in fluent Spanish; Hein after all was well acquainted with the region as he had been confined to it during his internment after 1603. The treasure was the company's greatest victory in the Caribbean. As a result, the money funded the Dutch army for eight months allowing it to capture the fortress 's-Hertogenbosch and the shareholders enjoyed a cash dividend of 50% for that year. He returned to the Netherlands in 1629, where he was hailed as a hero. Watching the crowds cheering him standing on the balcony of the town hall of Leyden he remarked to the burgomaster: "Now they praise me because I gained riches without the least danger; but earlier when I risked my life in full combat they didn't even know I existed...". Hein was the first and the last to capture such a large part of a Spanish "silver fleet" from America. 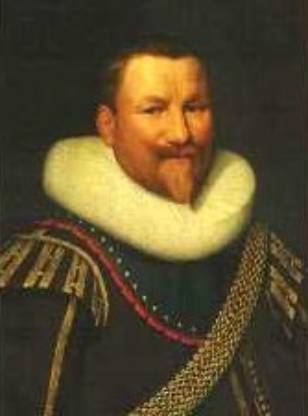 He became, after a conflict with the WIC about policy and payment, Lieutenant-Admiral of Holland and West Frisia on 26 March 1629, and thus factual supreme commander of the confederate Dutch fleet, taking as flag captain Maarten Tromp. He died the same year, in a campaign against the Dunkirk Raiders, the enormous fleet of Habsburg commerce raiders and privateers operating from Dunkirk trying to intercept all Dutch trade. As it happened his flotilla intercepted three privateers from Ostend. He deliberately moved his flag ship in between two enemy ships to give them both simultaneous broadsides. After half an hour he was hit in the left shoulder by a canon ball and was killed instantly. He is buried in the Oude Kerk in Delft.